At Cherundolo Law Group, in Syracuse, New York, we are fully committed to helping you recover the maximum amount possible for the damages you sustained as the result of someone else's negligence or wrongdoing. Established in 2013 by renowned personal injury attorney John Cherundolo, our law firm has become the top choice for the residents of central New York who seek justice for their injuries and losses. To date, we have secured millions of dollars in settlements and awards on behalf of our plaintiff clients, including a verdict of over $47 million in a product liability case, which stands as the largest verdict ever awarded in Onondaga County. Regarded as some of the top personal injury attorneys in the country, our attorneys have won numerous awards for our impeccable professionalism and our ability to handle even the most complex cases efficiently, and we are proud of our record of success. 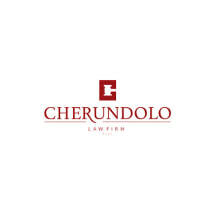 Whether your claim is the result of medical malpractice, a defective product or any other type of preventable tragedy, you can rely on the professionals at Cherundolo Law Firm, PLLC, to protect your rights and entitlements and help you secure a brighter future for yourself and your family. For more information regarding your situation, you can take advantage of our law firm's free initial consultation by contacting our law office and scheduling an appointment.